Texas voters told candidates they want property tax relief, and it's remarkably expensive. That's why state lawmakers are talking about higher sales taxes. In the rush of legislation filed before last week’s deadline, you wouldn’t be the only person who missed the measure proposing a 6.26 percent state sales tax rate. No reason you should have seen it or made note of it. For one thing, it’s a teensy tax increase, at least on paper — at least for now. The state’s current sales tax rate is 6.25 percent, and local governments can add two cents on top of that rate. The increase to 6.26 percent is a placeholder in a proposed constitutional amendment — a place to put the real number when it’s available. 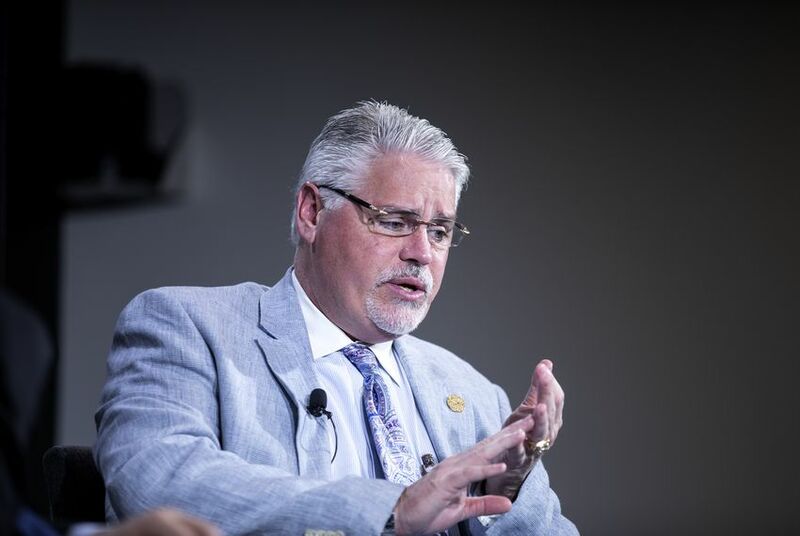 That number is in the possession of House Public Education Committee Chair Dan Huberty, R-Houston, who is talking to legislators about raising the state sales tax by a penny, to 7.25 percent (the new tax rate he’s waiting to propose), and pouring the money into public education. It wouldn’t be for new spending, but it would increase state spending enough to significantly lower local property taxes — the driving political force behind the state’s current legislative push for school finance reform. A little change in your local property taxes, translated into statewide finance, takes a tremendous amount of money. But a 1-cent rate increase in sales taxes would produce a lot of money. The state collected $31.94 billion from sales taxes in the 2018 fiscal year, according to the Texas comptroller of public accounts; at that level of taxable sales, a 1-cent increase in the rate would bring in an extra $5.1 billion. Local school districts, fueled by the local property taxes Texas voters hate so much, spent about $14.7 billion more than the state on public education in fiscal year 2018, according to the comptroller. The $5.1 billion from a 1-cent sales tax increase wouldn’t be enough to level that out, but it would sure make a dent. Citing the comptroller’s numbers, one more time: The state currently covers 36 percent of the cost of public education, and the locals cover the other 64 percent; throwing $5.1 billion into the state column and lowering the local spending by the same amount would bring those closer to balance: about 46 percent state and 54 percent local. That’s also enough — and here is where legislators might find the political payoff, if there is one — to finance a property tax cut that’s visible to homeowners. Huberty’s introductory House Bill 3 — commonly called the school finance bill — would cut property taxes by about $100 for the owner of a home with a taxable value of $250,000, according to the author and others. He can do that with money that’s already in the state’s hands. His proposed tax swap would increase the size of the property tax cut and also provide money for public education in future years. His proposed constitutional amendment would raise your sales taxes, but that same sample homeowner would get almost $500 in property tax cuts — in addition to the $100 in property tax cuts in the current school finance bill. That’s Huberty’s opening in House Joint Resolution 3, which would make it to Texas voters’ ballots if it’s backed with a two-thirds vote in both legislative chambers. The Senate is working to pass its legislation forcing automatic voter referenda on local property tax revenue increases; the trigger is at 2.5 percent for now; speaking to the NE Tarrant Tea Party this week, Lt. Gov. Dan Patrick predicted the final number will be between 2.5 percent and 4 percent. Wherever that limit lands, however, it will not mean a tax cut — which means it’s not the kind of property tax legislation voters are telling their politicians they want. A tax cut is the thing, the prompt to action for this Legislature. Huberty and others are now saying, right out loud and in public, that school finance wouldn’t be taking place this year if politicians and legislators were not so motivated by property taxpayers. Their line is that you can’t get school finance reform without property tax reform. And you don’t really have property tax relief if all you do is limit how much more expensive government will become in the future. That’s why conservative lawmakers are pressing for lower property taxes — even if it means they have to raise other taxes to get there. Analysis: The Texas Legislature wasn’t built for harmony. It was built for debate.